I was looking around at aftermarket gubbins for the MR2 last night. It's not as easy as with Minis or Land Rovers, where you can't find anything on Google without skipping a page or two of hugely stocked parts places. I like the idea of "clear" indicators, so I saw some I might get. The problem though is, that the rear indicators (orange lens) are part of the rear clusters all in one. Replacement rear lights are of the "lexus" variety, and so mostly look a bit "chav". Hmm. I quite like the idea of an APEXi induction system. Just because it sounds cooler than K&N, and probably won't help anything except having something to tinker with/ruin a perfectly working engine's performance (choose whichever). I also wonder if That Fancy Petrol is worth trying. I didn't bother with it for the little Fiat, because that would have been a waste. I don't know if it's something that makes a big difference to the new car, or if it's just another pointless expense. On non MR2 related news, and onto Land Rover ones, I have cunningly succeeded in getting a camp bed into my 90, which now technically makes it a camper van. Needs curtains though. I have plenty of gingham in the loft, but I was thinking of cutting up the cheap silver reflective windscreen sunshields I have a stack of, instead. See what the car manual says about the petrol. Only certain cars get a worthwhile performance increase from higher octane fuel. Ah, I remember the days of 2 star, 3 star and 4 star. Apparently there was also a 5 star grade as well once. Does anyone know when they stopped selling the lower grades of fuel and why? Was it around the time unleaded came in? So about 1988/89? 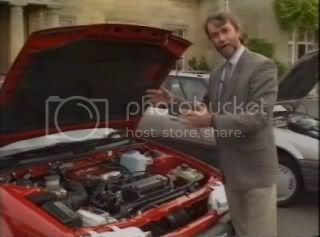 Which model of MR2 is it? My sister in law dumped one in her parent's garden where it is rotting away. She might sell you some bits off it. Like the lights, then you could try prising them open to remove the colour filter (I saw threads about doing similar on some car forum) without worrying too much about smashing the hell out of things very important to your car. Old sports cars had to run 5*, it's related to compression ratios and "pinking" potential. I can't remember if they had super unleaded in 1994. My car runs fine on regular, I just wonder if it would run better on sooper. It's a "mark 2, gen 2" I think. [color=#400080]Old sports cars had to run 5*, it's related to compression ratios and "pinking" potential. I think the old Jag we used to have could run on either 4 or 5 (although I'd never seen 5 in practice). When they withdrew leaded we had to use unleaded with a special mixer to replace the lead and get the octane level up for the engine. Apparently if you used Super Unleaded with the mixer it was the equivalent of 5 star (although we never tried that). Actually, despite all the fuss about leaded being withdrawn, you can still buy it. I've seen a fair few small family owned petrol stations in the countryside selling it. No it's not lead replacement stuff, it's genuine 4 star although I think it's about £1.50 a litre. As many of you know, I'm currently gearing up to change my Ranger Rover into a Bowler Tomcat (bloggity). Essential things like spotlights, racing seats (Cobra Daytona's, seat fans), vinyls and a 'press to start' button are on their way to the house right now. Run by ex-TVR employees I think. More mpg from sooper. Hmm. I genuinely see a difference in the performance of my car when using BP Ultimate petrol, but bugger all when I use Shell V-Power. Apparentely, you should be able to get better economy out of the higher octane fuels in some cars, thus nullifying the extra cost, but that hasn't really been my experience. It just seems to give the car a bit more get up and go, though I accept this may be entirely down to my imagination. I assume that most cars by that point needed 4-star anyway so there was little point making all the different octanes available. It just seems to give the car a bit more get up and go, though I accept this may be entirely down to my imagination. Be cautious about any anecdotal evidence around super unleaded giving extra mileage or performance. Unless you somehow magically drive the exact same roads under the exact same conditions each day, a measured 2-3mpg gain isn't statistically significant, unless you can repeat it a bunch of time. There is a garage near me which has LRP for £1.00 a litre. I sort of suspect the fuel in that tank is about 10 years old at this point. Their only customer for it is a single Reliant Robin owner, from what I can tell. To be frank, the MR2 has a lot of "get up and go" already compared to the Fiat, I just wonder if there are benefits all the same. Sometimes it's kinder to the engine, but maybe the fancy pooter will even things out anyway in terms of lean/richness. I used to have to fill my mini with optimax and lead additive to keep from pinking and keep valve stem seals intact. I don't think that applies with more modern engines (like 14 year old ones). My Omega V6 estate is being discarded this week in favour of a 56 plate Picasso 1.6 HDi. I'll be very sad to see the Admiral's Barge go. Reliant Robin owner, from what I can tell. 862 BeeX points for not writing "Robin Reliant". V6 Omega to Diesel Picasso, eh? When's it due? How is the expectant mother doing? Unless you somehow magically drive the exact same roads under the exact same conditions each day, a measured 2-3mpg gain isn't statistically significant, unless you can repeat it a bunch of time. I basically do exactly this, and I've repeatedly seen gains with super-unleaded. I generally get about 315 to 325 miles to a full tank out of my Celica on normal unleaded. When I use the premium stuff that Tesco sell, I usually get between 340 and 350. Depending on driving style of course. I will try this at my next fill up and report back with Scientific Facts. Then someone will tell me that the car's ECU won't have learned enough to alter things correctly. Apparentely, you should be able to get better economy out of the higher octane fuels in some cars, thus nullifying the extra cost, but that hasn't really been my experience. Unless your car has some way of changing the compression ratio on the fly (I think some Saabs are able to do this?) I don't find it very likely to be honest. The anti-knock strategy of the engine only gets used under high engine load so doesn't do anything differently unless you're driving like a nutter (in which case the MPG is probably in single digits anyway). My mini was good at changing compression ratio on the fly. I mean, by quite a lot, and as a one way kind of deal. I'm also very wary of MPG short term trends but I must admit that with the Insight, you can sometimes get a dramatic difference on the MPG readout just after filling up with a different "make" of petrol. Like, 90MPG instead of 80. The car will drive differently too, it stays in "lean-burn" mode at higher power and for longer. I don't think this is down to octane rating particularly, and it's not necessarily better with the more expensive "premium" fuels. I think it's a per-batch thing or might just be related to the temperature of the storage tank. I am told it takes a couple of tankfulls for the ECU in most cars to adjust. V6 Omega to Diesel Picasso, eh? When's it due? The Omega was bought as a tow car, and the Picasso is a tow car with stupendous mileage and low insurance for learner drivers. Oh, and unlike the Omega, it's not totally knackered. One day perhaps I will buy a hot hatch for driving fun, but frankly these days I only drive for utility and not pleasure. The thing I'll miss most about the Barge is the autobox; that's just how soft I have become. the temperature of the storage tank. Very fixed, they are surprisingly far underground so they don't vary much. There was a report done the US recently debunking the "fill up in the morning when the fuel is colder so you get more" urban myth; only the first 1/2 gallon or so varies in temperature, and not by enough to matter. Just out of curiosity what are you towing? I've got a transit that does that by spitting out it's spark plugs. Fun fun fun. Oh dear. #engines" class="postlink">Oh dear oh dear oh dear. Oh OK then. (whistles innocently). Oh, mine too. The 2.0 DOHC? I got stuck behind a horsebox towing a caravan once. Still, I drove a steam engine around the North Circular, so I'll shut up now. No, it's a 2.4, I think. And none of your fancy cam's, either. Nah, it's properly old - G reg, I think. So that's what Santa's Grotto looks like. Super unleaded won't make any difference on an old car, it's only of benefit on modern cars with clever ECUs - they can alter the timing slightly to get the best of the extra temperature stability of higher RON fuel. Most VAGs (including my Octavia vRS) for instance are optimised for 98RON but can adapt to 95 (super gives better total-area performance, and slightly better economy). The Civic Type-R I had, despite being iVTEC, didn't give two shits, and I think my M3 would be part of the 'pistons in your face' club if I tried putting normal unleaded in it. Mine is to be sold in about 3 weeks. Gutted. You have an Omega too? Awesome, aren't they? Now if only mine wasn't broken utterly, and got more than 15mpg. Sorry, I didn't word that very well, I have a 2L Diesel Picasso. It's lubberly. Oh, I see. I am quite impressed with the Picasso in terms of sheer practicality, if nothing else. The cabin design is very thoughtful. There's probably more demand than you think. All those old classic cars you see driving around on a Sunday? They all run better on leaded. I would offer a nice 1.1l Punto, but my cousin has first dibs. The cabin design is very thoughtful. You appear to be 50. Happy Birthday. I was born a curmudgeon, and am just passing the intervening 50 years letting my physical age catch up with my mental age. It'd be interesting to plot a graph of these service station locations around the country, mapped against demographic of the residents there. Say, by income. You are Chris Goffey and I claim my five pounds. That's a weirdo then! They never fitted the 2.3 pinto to transits, and you reckon it's not the twincam.. Not a V6 either? The old non-turbo diesel was a 2.4.